There is a certain trio of dusky-colored high-rise apartment buildings in Halifax that are, and have always been, swarming with bedbugs. Since these infested buildings have been gentrified and rented out to the oft-mobile university student population, what we have is a spread of bedbugs to other homes and buildings throughout Halifax. Current legislation places the responsibility of bedbug control on the person who brought them into the building. Since extermination is expensive, tenants stay mum about it until the infestation spreads like wildfire to their neighbors. 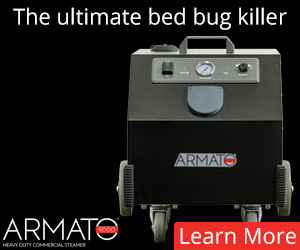 The law regarding who pays for bed bug treatment in Nova Scotia rentals is a bit murky. In Nova Scotia, Halifax doesn’t have clear-cut legislation for dealing with bedbugs. Responsibility for extermination falls upon the tenant if a landlord can prove a tenant brought the bugs in. The Halifax agency has found that landlords often foot the bill as it’s difficult to prove there were no bugs before a tenant moves in. Tenants are advised to write a letter to a landlord asking to deal with the problem within a reasonable timeframe. If the landlord refuses, a hearing can be conducted in front of the officer of residential tenancies. Of course, tenants who may be making such a choice, consciously, or by default (because they simply cannot pay for treatment) assume they are the “source” of their building’s problem. 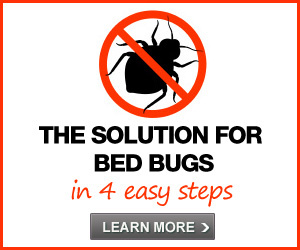 Many Bedbugger Forum participants also assume they are the first in their building to have bed bugs. Why? 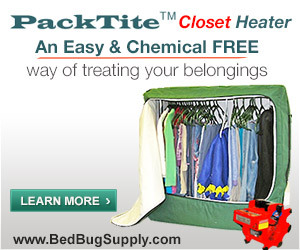 Because landlords and neighboring tenants are not under any obligation to disclose their bed bug problem. 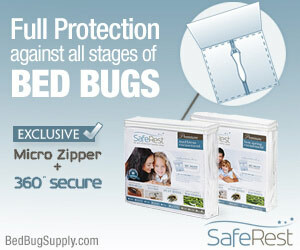 The reasoning seems to be that if I admit to having bed bugs, I will be seen as the source. 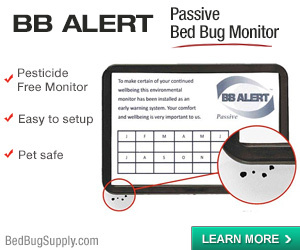 Unfortunately, tenants have good reason for worrying about this — landlords and neighbors will likely assume the first person to find bed bugs is the “source,” even though it turns out, in so many cases, others have them too and either (a) don’t know about them, (b) know about them and are unsure what to do, or (c) know about them and — for whatever reason — just don’t care. 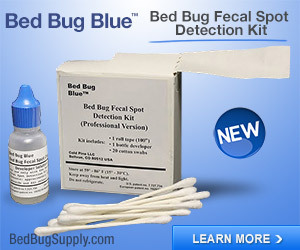 We have to remember that a great many people fall into category (a) and have no idea they have bed bugs. 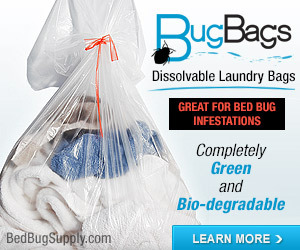 So your neighbor may be bitten badly and for a long time, but have no bite marks, no itching, and not see any bed bugs, until the problem becomes quite bad and they are crawling on the walls in daylight. The bed bug blame game — in this case, blaming the “canary” who first notices and announces the presence of bed bugs in a building — isn’t fair. And it’s often not accurate that this person is the “source” of the building’s bed bugs. And, let’s face it, the way bed bugs are spreading, I don’t think it’s fair to blame people for unknowingly bringing bed bugs into their building — even if they did so — if they did not have the awareness they were doing so. If you got bed bugs riding on a city bus or sitting in a library, who is to blame? Collectively, everyone needs to deal with the problem. I say anyone who has experienced the anxiety and disgust of a bedbug infestation, and anyone who does not want to live through the former, should write to your local Halifax councillor and demand legislation that places the responsibility of bedbug control on the landlord. Such a law would force landlords to keep buildings bug-free by regular maintenance, since an infestation would cost tens of thousands of dollars. The problem with laws that force the “tenant who brought bed bugs in” to pay for treatment, is both that pinpointing such a “source” is more difficult than people think, and also that infestations quickly spread and get out of control. On the other hand, I would not simply stop with passing the buck to landlords Here in NYC landlords are responsible in most cases, but buildings still become badly infested, tenants still fear reporting the problem will lead to blame, and negative repercussions. The inspection system (where people call 311 to report bed bugs) does not work well, since inspectors apparently will not file a violation unless tenants can show them a live bed bug scurrying around in the home, in daytime. And landlords don’t necessarily get rid of the problem even though the laws say they have to. 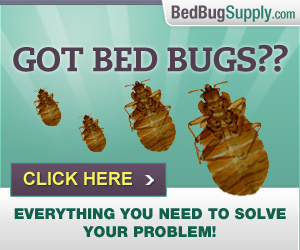 I think Bugged by Bedbugs has the right idea about the problem here, but I would argue for a more complex solution. We need to remember that tenants do have some responsibility to help keep buildings bed bug-free. I am also mindful on the terrible impact bed bugs can have, financially, on landlords. 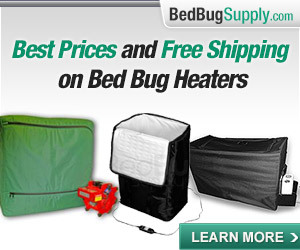 Bed bugs are not good for anyone involved. Therefore, rather than simply push for laws which place the financial obligations on landlords, we need to also push for local government assistance to help landlords get rid of bed bugs in their buildings and keep them bed bug-free. 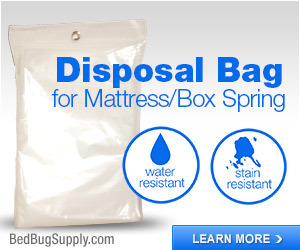 Such assistance might include guidance on the best practices for bed bug treatment and prevention, financial assistance where needed in properly eliminating bed bugs from a building, and educational programs for landlords, staff, and tenants, to prevent future outbreaks. 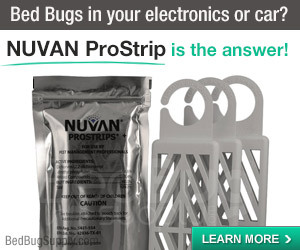 Ideally it would probably also include city-wide programs for dealing with infested refuse, educating everyone in the city about bed bugs, and taking reports of bed bugs and keeping track of where infestations occur. 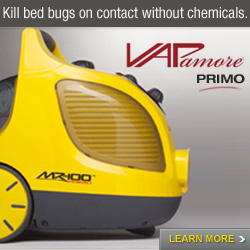 Bugged by Bedbugs also has the right idea about contacting politicians and demanding help. Wherever you live, contacting your local political representatives is a good idea. 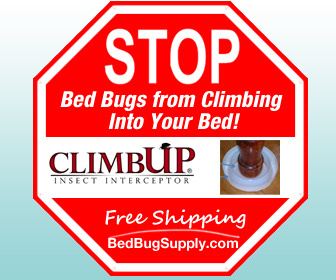 Tell them about your bed bug experience and the impact it has had on your life, and why they need to take action to help residents fight bed bugs. Halifax residents, you can find your Councillor here, and send them an email here. Agree that it is more complex than the writer had mentioned. It needs to be the tenant and the landlord taking some responsiblity with maybe a subsidy from the city or something. And good educations ources like bedbugger.com as well! 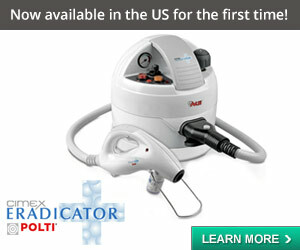 Thansk for the great site. Thanks, mostlycurious, for your kind words and your comments. 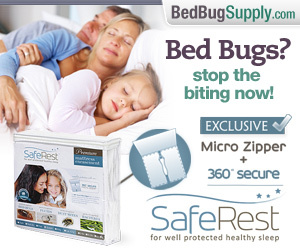 Next post: No bed bugs in Dubai? Or a Greenpoint stoop sale? Don’t be so sure.